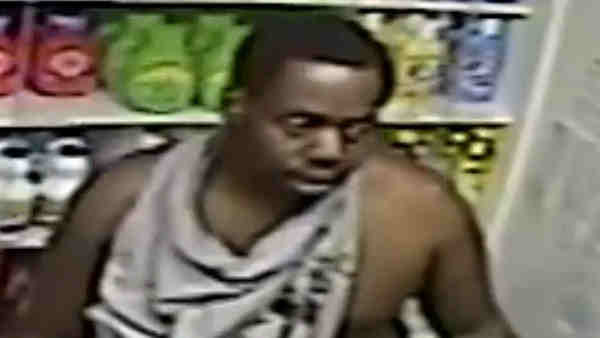 QUEENS, New York (WABC) -- Police are looking for a man wanted in two robberies at the same laundromat in Queens. Around noon July 28, at Laundry Land on Beach Channel Drive, two people approached a woman while carrying a gun and demanded money. They took $320 cash before fleeing. There were no reported injuries as a result of this incident. At 3 a.m. Sept. 3, at the same laundromat, a suspect with a gun approached a man and demanded money. The suspect took $200 before fleeing the scene. There were no reported injuries. The first suspect is described as a black man, 6 feet, 220 pounds, with close cut short black hair. He was last seen wearing a gray shorts with a black belt, gray T-shirt and white sneakers. A second suspect is described as a black man, last seen wearing a red hooded sweatshirt, black pants and a black face-mask.